Before your book can be printed, the interior must be properly formatted. This cannot be accomplished until the font size has been chosen, trim size is decided upon, and the final word count is established. Then the real work begins to format the interior properly to meet printing guidelines. Empire Publishing has over 30 years experience in pre-press and printing. Book interiors must be mathematically figured out before going to press. For example, depending on how many pages your book is, the measurement of the gutter will change from the first pages to those in the center of the book. 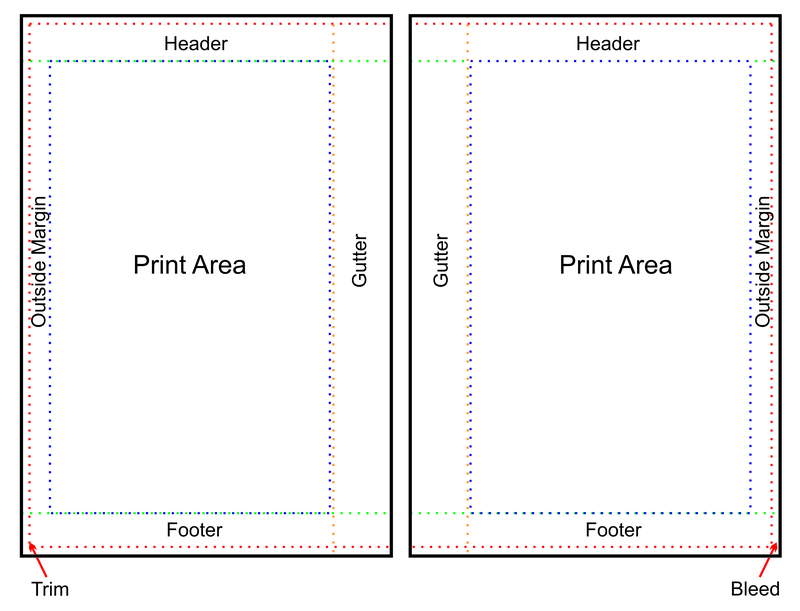 Proper margins must be set at top, bottom, and outside for centering the printed area. Incorrect formatting will be rejected by any printer. Empire Publishing does all the work for you, so your book is professionally and properly formatted for print publication. Layout includes a title page, page numbers, chapter/section headings and running headers where appropriate. Common mistakes made that Empire Publishing corrects when formatting. These are just a few of the common mistakes authors make when preparing for publishing. The editors at Empire Publishing correctly format your manuscript and fix any errors that you may not even realize are there. We also insert a Table of Contents and Page Numbers if they are not included in the file you have submitted for publication. Standard Formatting – This is included in the “Budget” publishing packages. Standard formatting is performed when an author does not have a specific design or formatting idea and needs the assistance of our experts in the industry to design an interior layout that conforms to professional industry standards. We will choose the appropriate font, line spacing, and style treatments for your book based upon the package you choose and the genre of the manuscript. Standard formatting does not include inserting any photographs, graphics or images. See our formatting and design samples. Custom Formatting – This is for those that want to use specialty fonts and custom layouts to correlate with the theme of the interior and genre. Custom formatting also includes the insertion of photographs, graphics, and images. Enhanced Formatting – This is for authors that want to add a unique look to the interior of his or her book by using specialty fonts, images, and graphics that will provide a personal experience to the reader. This requires extensive formatting and many hands-on hours, but the final outcome is a superb product. IMPORTANT: Interior book design and formatting does not include editorial services and is strictly a design service. You should upload your fully-edited and final text. If you want to use a specific font style, it must be properly embedded into you Word .doc or PDF file. Non-design related text edits after uploading will incur additional cost.